We are watching both the rain and winds get stronger but so far, we still have power. 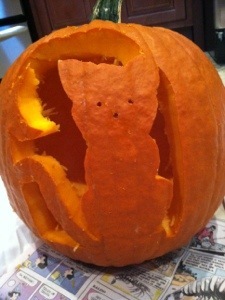 We have been entertaining ourselves with pumpkin carving. ← The weather is rolling in….